It had been seven years since we'd been to Hawaii and it was so much fun returning with the kids. We waited until Jayde was old enough to handle a six-hour flight, and I am happy to report she (and Hudson) rocked the flight. We prepared activity bags for the kids full of books, playdough, and toys, but they mostly watched movies provided by the flight. Those things are a life saver. I cannot say enough good things about this family vacation. It really was one of our best trips. We stayed at my sister's house on Oahu. She was in Texas visiting our parents for a portion of the time we were there, so she offered her cute home to us. We spent the first few days visiting Ko Olina Beach. It is the perfect beach for kids because it is a cove so there aren't any waves, so as parents we could relax knowing the kids were safe. On day one, after a day at the beach, we hit up Matsumoto's Shaved Ice on the North Shore and toured the island driving around looking at all the pretty sights. We ended up in Waikiki just in time to catch the sunset and grab dinner at The Rainbow Drive-In for a delicious mixed plate. When my sister summer got back from Texas we took met up at Ko Olina and let the cousins play. They had a blast playing in the sand. We were also able to meet up with our good friend who had just moved to the Island a week prior to our visit. They are living on the North Shore literally right across the street from Pipeline. This was such a good day. We hit up the beach before lunch playing on the water and sand. Fun fact: we were actually on the beach directly in front of Jack Johnson's house (but he wasn't there). After working up an appetite, we hit up the local food trucks for lunch. 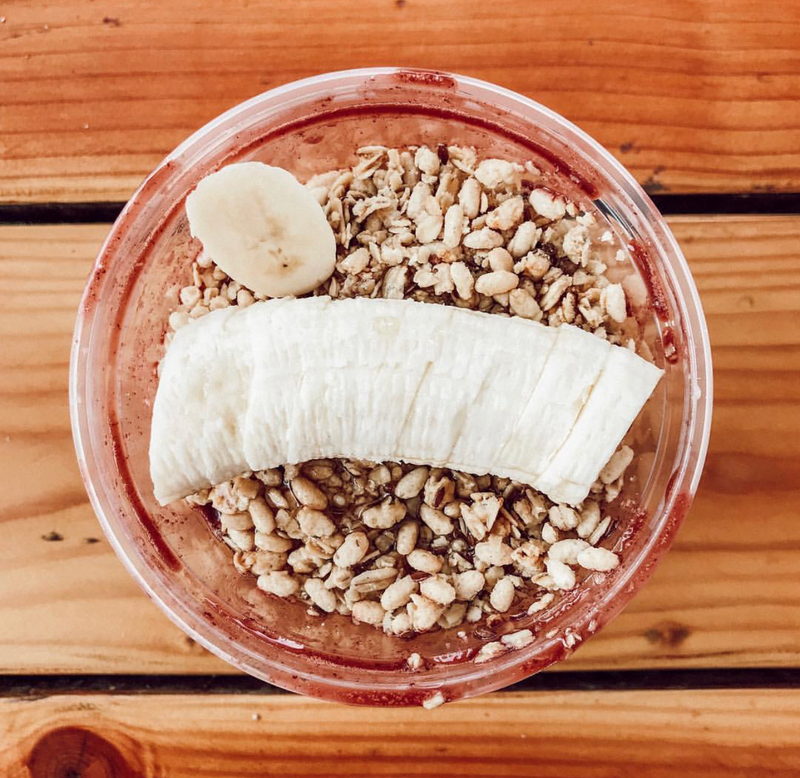 We went to "The Spot" and I had my first Acai Bowl which was admittedly really yummy. After lunch, we went to Shark"s Cove which are there amazing tide pools where you can snorkel and see hundreds of fish, crabs and other animal sea life. We absolutely loved this, but make sure you have water shoes to protect your feet because those rocks are sharp and slippery. It really was the coolest thing. We loved Hawaii so much, we are already planning our return for next summer.